Comment: house was built in 1978 and "gutted" in 2016...Having lived in the house since the remodel we are noticing extremely high utility bills...cold areas in the winter...Need an estimate. Comment: Need to remove old insulation and get rid of mice trails and put in new insulation and rafters. Comment: Iâm interested in obtaining a quote for cleanup and replacement of attic insulation for a small home. The attic space is approximately 575 sqft. We may also want it inspected and have small holes sealed to keep small animals out. A general email quote would really be appreciated. Thank you! Comment: cold air draft through exterior walls (at tile/wood floor and wall joints; electrical outlets under kitchen appliances). 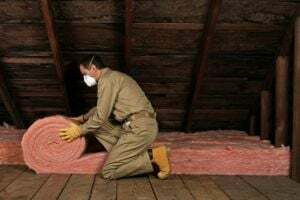 Attic insulation looks good. Possibly requires sealing the holes drilled for cable/satellite wires, vents, etc. Comment: We are looking to have some blown in insulation in the ceiling of the garage as the master bedroom is above the garage. The master bedroom is cold and drafty. Comment: I would like to get an estimate at my home. We had an issue with frozen pipes and flooded our basement. All the demo has been done, but we need a quote on new insulation. A Team Home Improvements, Inc.
Gaithersburg Insulation Contractors are rated 4.54 out of 5 based on 401 reviews of 11 pros. Not Looking for Insulation Contractors in Gaithersburg, MD?